Online Canadian Pharmacy, is established U.S. accredited online pharmacy intermediary that has been operating since 2002. It is certified through CIPA and IPABC. At BBB accredited Online Canadian Pharmacy, your health and wellness are of primary concern. Specializing in chronic care medications taken to sustain and improve the quality of life Online Canadian Pharmacy do not fill narcotic or lifestyle prescriptions. Online Canadian pharmacy is run by certified pharmacists, who are supported by an outstanding staff of dedicated and highly trained men and women who are committed to providing the highest standards of care as well as safe and affordable prescription drugs to patients. With more than 30 years of experience as a pharmacy owner and manager, Dawn has worked across a broad range of pharmacy settings including; Community Pharmacy, Hospital Pharmacy, Drug Information as well as in consulting roles such as Health Care and Pharmacy Practice. She has a special interest in overall wellness care in the practice of Pharmacy. 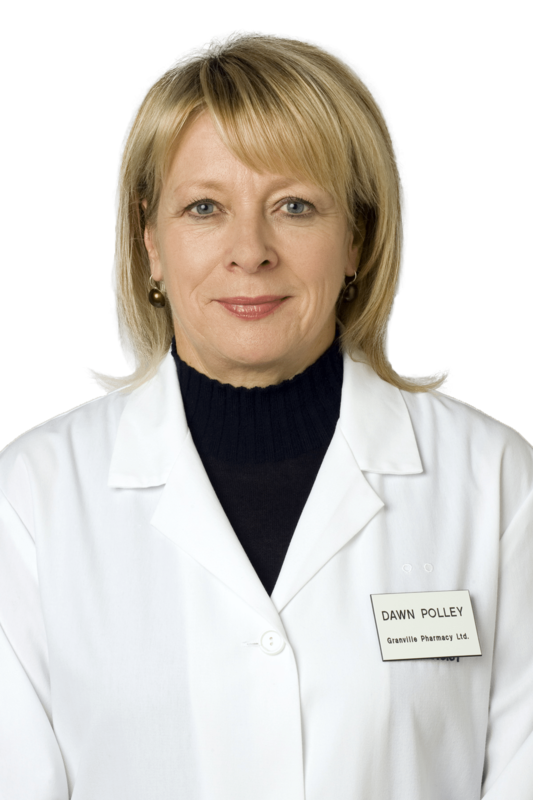 Dawn Polley prides herself in that Online Canadian Pharmacy is a certified Canadian pharmacy intermediary offering patients the highest standards of patient care and customer service with tremendous cost savings for patients who buy prescription drugs online. But Dawn doesn’t stop there, as a past President of CIPA she has also dedicated her time to meeting with Senate, House Representatives and members of Congress that support the importation of Canadian prescription medications. Her vision is to make it easier for Americans to move this process forward. Online Canadian pharmacy prices are up to 80 percent less expensive than buying similar medications through U.S. pharmacies. CIPA pharmacies follow the same prescription process as U.S. mail-order companies, requiring a valid and signed prescription from the patient’s doctor or health care provider. In addition to dispensing from a Canadian dispensing pharmacy, Online Canadian Pharmacy also dispenses your medications from international fulfilment center’s that are approved by the regulatory bodies from their respective countries. Affiliate dispensaries are in the following jurisdictions and ship product to online customers: Canada, Mauritius, New Zealand, Singapore, Turkey, United Kingdom, India and the United States. Whether it comes to dispensing prescription drugs online or providing patient prescription drug education, Online Canadian Pharmacy have an outstanding team of professionals ready to assist you Monday to Friday 6 am to 8 pm PST and Saturday to Sunday 7 am to 5 pm PST. If you have any questions, please feel free to call toll-free at +1-888-730-3338 or email [email protected]. My friend Helen of Lynnwood, Washington gave me your address. Thanks for what you all do for me. I Wanted to say thank you to those who processed my order. I took my last pill about an hour before the postman delivered my refill! Thanks for helping me out of my schedule problem. I thank you for your excellent services and public relations to your customers. It is my pleasure to recommend your business to my friends and associates. Best Wishes and God Bless.